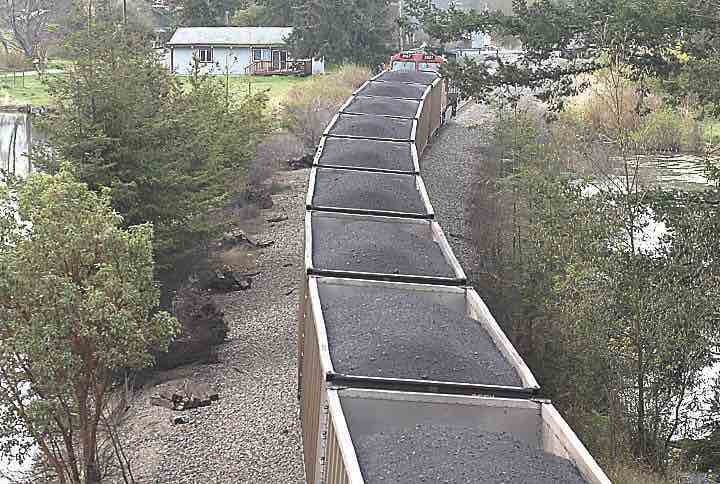 In a consent decree filed March 23, BNSF Railway (BNSF) has agreed to study and ultimately adopt the use of covers on open-top coal product railcars, to clean up significant accumulations of coal or petroleum coke (petcoke) from Pacific Northwest areas near the Columbia River and to pay a $1 million settlement earmarked for environmental projects. As part of the settlement, BNSF agreed to pay for a study about rail car covers for coal and petcoke train cars that puts the rail operator on a path toward keeping coal and petcoke out of sensitive water bodies. The study is expected to take about two years, and the use of a "commercially and operationally feasible" car cover is expected to be implemented "within 90 days of the conclusion of the car cover study." The consent decree states that "BNSF's obligation to remove significant accumulations of coal and/or petcoke material ... shall be limited to material on land" within one year and defines five specific areas near BNSF's right of way. BNSF also is solely responsible for two follow-up inspections at each site showing no further contamination. The sites to be cleaned up are Horsethief Lake, Drano Lake Rail Bridge and parking area, White Salmon River and its confluence with the Columbia River, confluence of Rock Creek and the Columbia River and the causeway near Murdock. The settlement also requires BNSF to pay $1 million to the Rose Foundation for Communities and the Environment "for projects to improve water quality or habitat in the state of Washington." The finalized consent decree lodged with U.S. District Court Judge John Coughenour brings to a close a Clean Water Act case brought against BNSF by a coalition of environmental groups, including the Sierra Club, Puget Soundkeeper, Columbia Riverkeeper, Spokane Riverkeeper, RE Sources for Sustainable Communities, Natural Resources Defense Council and Friends of the Columbia Gorge. During the week-long November 2016 trial, according to a news release from RE Sources for Sustainable Communities, scientists testified that a million or more coal particles per second come off of each rail car, dumping mercury, arsenic and hundreds of other pollutants into rivers, lakes and oceans along BNSF rail lines. The release said eyewitnesses also recounted being pelted by coal from passing trains while recreating or driving along waterways.